Happy Friday and HAPPY SPRING BREAK to all of my fellow teacher friends!! WE MADE IT! I'm linking up with A Blonde Ambition again for Confessional Friday! 1. I am SO happy to be on Spring Break! Okay, this is more of an obvious statement than a confession, but 10 whole days of cleaning and wedding planning?! And I get to watch Kathy Lee and Hoda every day not on the DVR?! Sign me up. 2. We are going to a wedding tomorrow and I'm a teensy bit excited to see Travis in a tux for the first time (He's in the wedding party...obvi)! Plus, he's actually going to be wearing the same tux for our wedding, so it'll be like a little dress rehearsal! It was so great to see everyone...and for those of us who live in Charlotte, why don't we see each other more?! 4. I definitely just re-brewed my coffee because there were too many coffee grounds in the first cup. BLEH. 5. My knee has been hurting really bad lately! 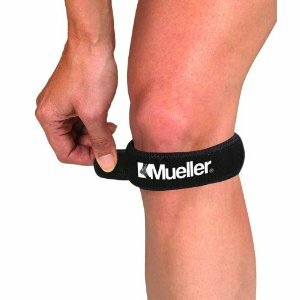 I've been diagnosed with having Patellar Malalignment...basically the bones in my leg/knee don't line up when I am running, causing popping and pain in my knee cap. 6. I am also totally using this as an excuse to run less. For example, today...I was supposed to run 8 miles, but my "knee hurt" (not really), so I stopped at 4. I could have run further, but I really just wanted to shower and write this confessional post. HA! 7. I just got my last observation of the school year back from my principal, and she said I am doing great! I'm so glad I don't have to worry about any more observations this year...it's such a nerve-wracking process! 8. I am supposed to be leaving for Raleigh at Noon. It is now 11:49 and I have not packed a single item. Not to mention I have nothing to wear to this wedding. I may have to go to the mall real quick. ETD: Probably like 1:30 or 2. Whoops! Guess I'd better get going! i love i confess fridays! im so jealous you get a spring break! enjoy it!